Netizens asked which of China's neighbors they wish was further away and which country they would like to be closer rated Japan as the least popular neighbor while Sweden was the most-desired neighbor. The Global Times' Chinese-language website, huanqiu.com, conducted an online survey titled "Select our neighbors," telling Net users that if they could "play God," how would they rearrange China's neighbors. Net users answered three questions: "What do you think a neighbor country should be like?" "Which neighbor country do you want to move away the most and which you want to stay?" "Which country do you want to put beside China?" More than 200,000 Net users answered the questions, and more than 1,600 left comments. There were 18 options for the first question, including "stable," "wealthy," "have close trade ties with China," "doesn't owe China any money" and "people who speak Chinese can survive in the country." The results showed that 12,600 people voted for "stable," 11,030 for "friendly to China," and 9,462 for "can use RMB in the country." A total of 13,196 people wanted to "move away" Japan, the highest number of votes in this section. 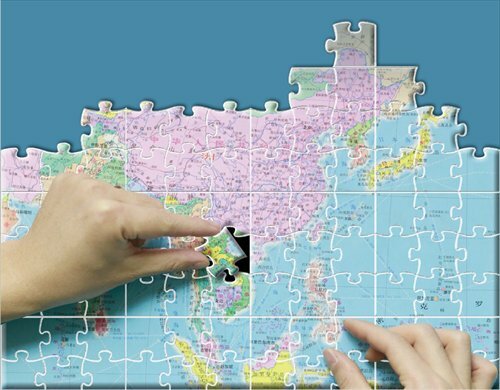 Ironically, Japan actually fits many of the criteria netizens said were desirable in a neighbor, such as being the fourth largest trade partner of China in addition to its wealth and stability, Sun Lizhou, deputy director of the Academy of the World and China Agendas, Southwest University of Political Science and Law, told the Global Times. Net users choose to "move away Japan" because the Japanese government has not apologized over historical issues and the dispute over the Diaoyu Islands has soured China-Japan relations, Sun said. Sun added that the popularity of anti-Japanese TV series also contribute to the negative image of Japan. Other countries that were "moved away" include the Philippines (11,671), Vietnam (11,620), North Korea (11,024), India (10,416), Afghanistan (8,506), and Indonesia (8,167). Analysts said that most of these countries have disputes with China. "The Philippines and Vietnam have consistently made a fuss over the South China Sea. This is why they left bad impression on Chinese people," Ge Hanwen, an expert from the Chinese People's Liberation Army University of International Relations, told the Global Times. China and India have disputes over 120,000 square kilometers of land and the two have not signed treaty to settle the border disputes, said Sun, adding that some overseas Tibetan separatists are under India's protection. Net users used their votes to show the bond shared by China and Pakistan, with 11,831 people wanting the country to "stay as a neighbor." The next three most popular countries that netizens would like to "stay" are Kazakhstan, Nepal and Tajikistan. Russia came in 11th place. Sun said that the result might come out of disputes between China and Russia in recent history. Net users were given 36 countries to choose from as options for "new neighbors." Sweden earned 9,776 votes, accounting for 5.8 percent. And the other six countries that netizens would most like to be closer are New Zealand, Germany, the Maldives, Singapore, Norway and Thailand. Shen Binlu, with Shanghai International Studies University, told the Global Times that he was surprised to see that Sweden is so popular. "Maybe the splendid natural landscape and leisurely lifestyle of Sweden meets many Chinese people's dreams and the country's peaceful diplomatic image on international community has won support," said Shen. The state's generous welfare policies are also known for promoting social equality among Chinese Net users who value the right to get social security regardless of background, income and other factors, said Sun. "Most of these 'new' neighbors are stable, wealthy, friendly to China, and have large welfare states. Germany and Singapore are models of economic and technological success and Maldives and Thailand are holiday paradises," said Ge. The poll showed how the Chinese think about China as a developing country, how they think about its surroundings and their attitudes towards other countries, Ge said. The selections also show that most Chinese wish to build a friendly, mutually beneficial and stable region and they also desire to enhance living quality, improve social equality and build a stronger country, added Ge.